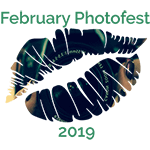 February has gone so quickly and the end of February marks the last Photofest photo for 2019. We have enjoyed taking part immensely and I hope we will join in again next year, although maybe slightly better prepared! Thanks y’all! I’ve really enjoyed all of your photos this February! Same to you, I especially love the rope work you both do. That’s a hot picture to end the month. Congratulations on finishing!